I'm trying to use the coupon codes and am having some issues. I have chatted with a couple of individuals today but apparently what is happening needs some testing. I really need this problem solved as soon as possible as I have orders coming in and need to make sure people are being charged correctly. Mike (through Chat) was helping me on this earlier but we were not able to come to a conclusion that worked. When using the coupon codes and setting them to affect the total price individuals ordering were receiving 2 different payment totals. The total on jot form would show one issue, but when redirected to paypal a different total was being shown. 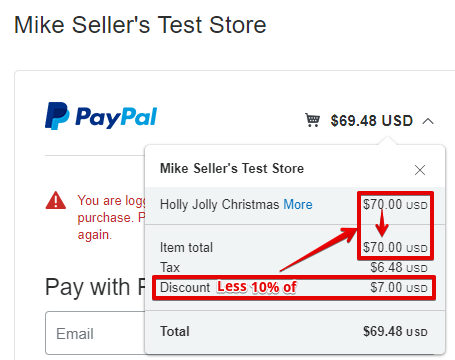 They were able to figure out that the tax was being added to the subtotal on jot form with the discount, but then when redirected, paypal was adding the tax to the price without the discount...I believe this is what Mike was explaining. Hopefully this makes sense. Change the coupon code to affect products on the total. We did this yesterday, but then an individual ordering 1 item was able to use my largest coupon code of 20% off of her 1 item. Something that should have cost her $70 she was able to use the SAVE20 coupon on and received her item for $56. I can't leave it this way, because most all - given the chance - will try the largest coupon on all of their orders, and it would be allowed. I'm attaching screen shots of what happened earlier as we were testing this. These are images of what jot form shows as the total and then what happens when we are redirected to paypal. Please help! I need a solution quick! Just to explain the issue further. Right now, it seems that on the PayPal's page, the discount is applied to the total of the price before the tax is added. However, on the form, the discount is being applied to the sub-total price including tax. On the form, the discount is also being applied to the tax amount, but on the PayPal's page, it is only applied to the items total amount. I understand that the solution I have provided earlier would not fit your requirements since you would like the discount to be applied to the total amount only if the minimum amount of order is reached. We would like to apologize for any inconvenience this is causing you. I have escalated this issue to our developers so they can take a closer look. I understand that you need this issue fixed soon, however, I'm sorry if I cannot provide any time frame to when it will be fixed. Please be assured that once there is an update from our development team, we will notify you in this thread as soon as possible. We'd like to know how to go through with this, so we're asking our users one question. 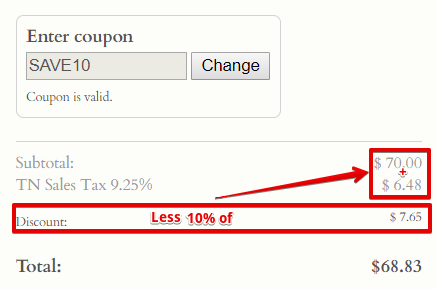 Do you prefer the discount to only be applied to the item total before taxes? Or would you rather the discount to apply to the tax as well? Thank you for that information. We'll inform you when this gets fixed as soon as possible. 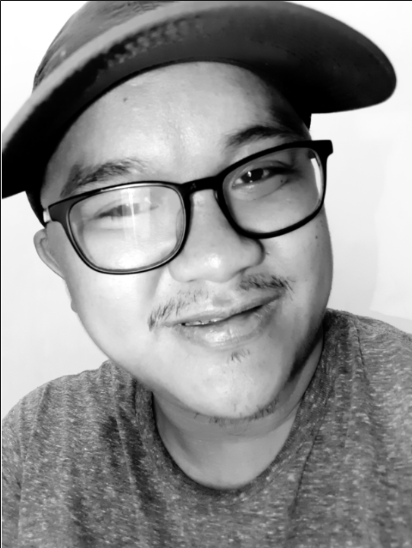 Sorry for the late update. This bug is now fixed.